I have had the ASICS Tartherzeal 5 in my hands for quite a few months now, but the review has taken longer than usual, primarily because this is a racing flat, and it's just harder to chalk up the miles in these bad boys. It may come as a surprise to some people, but this is in fact the only pair of Tartherzeals I have ever owned. Previous versions always felt a little too firm and minimal for my taste when I tried them on in the shops. What's different about version 5? They put FlyteFoam in the midsole. I've become a huge convert to the vibration dampening properties of FlyteFoam ever since they hit it out of the park with the Noosa FF. The version i received is the "wide" version, which is a common size option in the Japanese shoe market. It's not strictly speaking a 2E width shoe, but marries a 2E-ish toe-box with a standard D width heel and mid-foot. The resultant platform is not dissimilar to that of a Nike Zoom Streak 6, but with a less aggressive curve at the arch. I think this configuration will prove to be very popular with runners with lower arches or like a little more room in the toebox. It's not Altra-esque, but certainly roomier than current offerings from Nike/Adidas/Saucony. Let's start with the basic specs. The upper on the Tartherzeal 5 is largely unchanged from its predecessors. It maintains its traditionalist appearance, with a thin and inelastic mesh held together by suede overlays. The overlays are quite rigid at first and take quite a few runs to soften up. I experienced some pressure in odd places around ankle when i laced them up the first few times, but as the plastic overlays softened, these went away. One of the striking things about this shoe is the sheer number of lace eyelets. There are eight rows of eyelets, counting the heel retention eyelet. This is not uncommon among ASICS racers, but is quite a handful compared to offerings from other big brands. You certainly don't have to use all the eyelets, but it does give you quite a lot of flexibility in deciding how you want to tailor the lace tension to your fancy. While previous versions of the Tartherzeal used SpEVA as a single density midsole, version 5 replaced SpEVA with their new FlyteFoam compound. A relatively thin SpEVA insole complements this to give the shoe an overall softer and slightly bouncier ride. The outsole is largely unchanged from before, with large areas of segmented triangular DuoSole compounds under the forefoot to provide exceptional road grip. The midfoot is exposed EVA reinforced by a thin plastic shank, while the bare minimum in carbon rubber is placed at the edges of the heel to give a bit more wear durability. Note that this is essentially identical to the outsoles of previous Tartherzeal editions. In essence, the only thing that has changed with the Tartherzeal 5 is the replacement of SpEVA with FlyteFoam in the midsole. However, the midsole is the heart and soul of the ride of a shoe, and the ride is noticeably softer feeling than before, without losing much pop at the forefoot. This shoe is still very much a racer and wants to go fast. The ride is understandably somewhat jarring and awkward when one is not going at a decent clip in these shoes. I found them best suited for speed work and fast tempo runs both on the road and on the track. I do not expect them to hold up well on trails, mainly because there exposed EVA in the heel and mid-foot leave a lot of room for stones or sharp debris to poke at you from underfoot. I used the Tartherzeal 5 for one 21km race at the end of April. The first few kilometres were excellent with the forefoot traction really shining through and gobbling up tarmac with easy. By the midway, I had settled into a comfortably hard rhythm, but honestly, my feet felt a bit fatigued in the last 3-4 kilometres even though I came away from the race with a half decent time. At this point, I think it would be best suited for most people for races up to 10km, and for the more efficient among us maybe up to the half marathon, but it would be quite a tall order for most people to survive a full marathon in these. 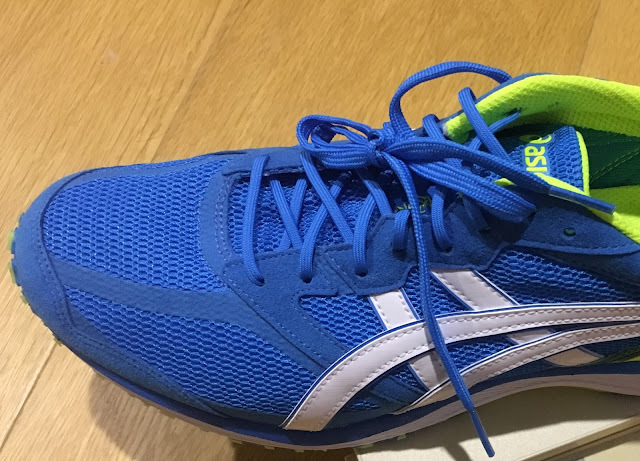 I can't help thinking that perhaps ASICS should produce a shoe midway between the 170g Tartherzeal and the 220g Tarther Japan. I personally find that the Tarther Japan is maybe a little too much shoe for me over a full marathon, and something in the 190g range with perhaps a little more stack in the forefoot, maybe 20/14, to give a 6mm drop, will work well with the FlyteFoam platform. One good thing going for the Tartherzeal is that the other major brands seem to be focusing more on the 7+oz market at the moment, and when you really boil things down and look at the sub 6.5oz racers, the only shoes that come close to the Tartherzeal in terms of cushioning to weight ratios are the Nike Lunaracer and the ASICS Hyperspeed. Very similar weight to the Tartherzeal, but significantly softer underfoot, and with a lower heel-to-toe offset. The Hyperspeed 7 also uses generous amounts of blown rubber vs the DuoSole in the Tartherzeal. The Hyperspeed works more for people who like softer shoes like the Nike Lunaracer or train in Hokas, while the Tartherzeal will work more for people who train in shoes like the ASICS DS Trainer. The Tartherzeal has the more accommodating upper, with a wider and more stable platform. I found the Sen fit to be quite narrow and low volume and difficult to dial in. The Sen has the nicer forefoot feel due to the Boost segment, but the heel feels a bit too low to the ground for heel strikers. Heel strikers will definitely appreciate the Tartherzeal's heel cushioning by comparison. Both have similar grip properties, and the Tartherzeal seems to be the more durable of the two. Not exactly a fair comparison as the Streak 6 is nearly an ounce heavier, with a lot of soft blown rubber in the forefoot. The Tartherzeal is overall a faster feeling shoe, though the Streak 6 seems to transition better for me. The Streak also has better forefoot cushioning though they are quite similar in the heel. The Tartherzeal wins by a long way when comparing road grip though, and stability, by virtue of the DuoSole forefoot, and the slightly wider last at the forefoot. The Streak 6 has the more comfortable hugging upper. Nike gets points for the more comfortable upper. Not everyone likes the soft feel of the Lunaracer and people who prefer a more traditional race feel will appreciate the toe-off responsiveness that the Tartherzeal affords. Naturally, the Tartherzeal has much better outsole grip as well. Of the shoes above, the road feel of the Tartherzeal is closest to the Brooks Hyperion, and people who experience fit issues with the Hyperion would do well to consider adding the Tartherzeal to their must-try list. Both the Wave Cruise and the A6 suffer from being somewhat uninspiring on the run by comparison; they give a rather dead feel on toe-off once you have tried the likes of the Hyperion and Tartherzeal. The Cruse and A6 have noticeably firmer rides compared to the Tartherzeal despite being of similar weight; the Cruise is soft but has too little stack and too much ground feel while the A6 has enough stack but is of an overly firm durometer. I think this is a very good short course racer for 5/10km racing. It is just a touch too little shoe for me for the longer races. The ASICS Tartherzeal 5 retails at S$199 and is available at selected ASICS Singapore retail stores now. How is the durability of the outsole for the shoe? How many KMs have you ran in it so far? I have not put in a lot of mileage on my pair, as this pair is pretty much only for speedwork or short tempo runs for me. Typically for the kind of AHAR rubber used in the heel for ASICS, you can easily get 500km out of it, but the forefoot DuoSole durability is not as good. Again, it depends a lot on your running style but i would say maybe 300km. I don't generally put a lot of wear on the forefoot of my shoes so i can't really say. The area i wear out most in my shoes is the lateral heel and usually never wear out the forefoot. Hope this helps. Haha thanks buddy!! :D Great to hear that! Sounds like this is just going to be purely racing flats for me! All the best to you in your running journey!! :D Thank you so much for your wonderful review and replies! What is the shoe code of this model ? This wide version is different from the standard version ? I ran the Chicago Marathon with these shoes, they're fine. We love asics cross trainer shoes. 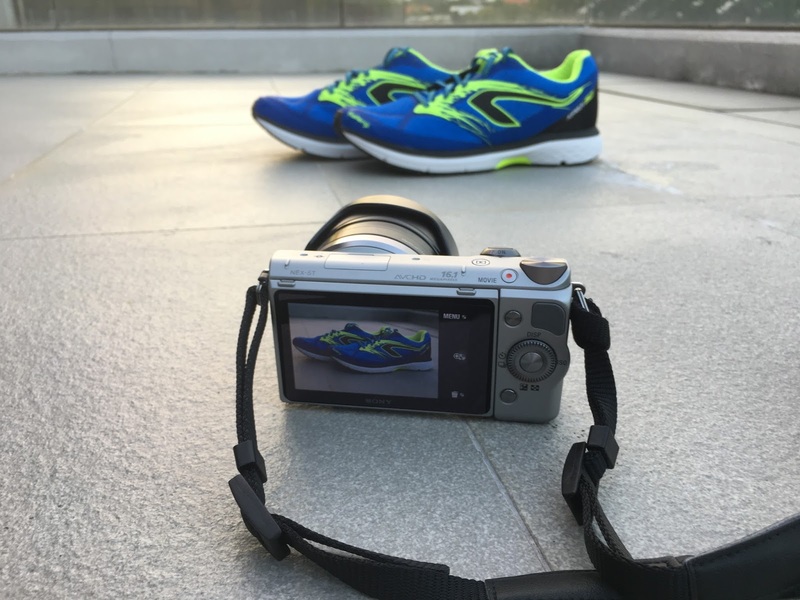 Would like to see you review Asics ds 23 pls.